He didn’t know the old woman in the other chair and didn’t really want to. He wanted to stare out the window at the lawn and shrubs. He let her drone on, her voice was pleasing, giving him comfort in some strange way. He saw a young man, straight and tall in an Army uniform, carrying a single rose toward a dark-haired miss in a yellow dress. The old man knew the soldier’s thumb lightly stroked a rose petal, feeling the velvet thrill of the fragrant flower, anticipating the greater joy of touching the girl’s cheek. She smiled and broke the old man’s heart. The soldier, he knew, would be lost in a smile from those lips – redder than the rose. His country needed the young man to leave his home, family, and friends to face the trials of combat. He had endured. Strong enough to win battles, he couldn’t resist her lips. One kiss and his surrender would be total: his hands looking for nothing more, his mind not inventing scenarios for afterward. The kiss would tell her how her image kept his determination to survive intact. The gentle melding of such a kiss more forceful and mighty than armies in conflict. The kiss would carry his desire, his hope, his promise. The kiss would make her understand. The kiss would say, “For you, I returned. For you, I will live.” The kiss would seal happiness inside the soldier for a lifetime. The aide made small talk and helped Mrs. Everett gather her things. 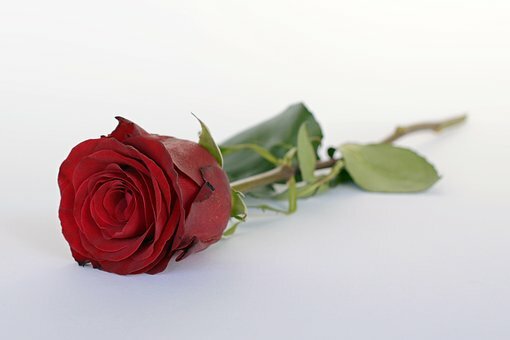 Finally, Mrs. Everett drew from a bag a red rose, the thorns carefully removed and placed it on the old man’s lap. She leaned over and kissed him on the cheek. Blog is posted on Wednesdays.